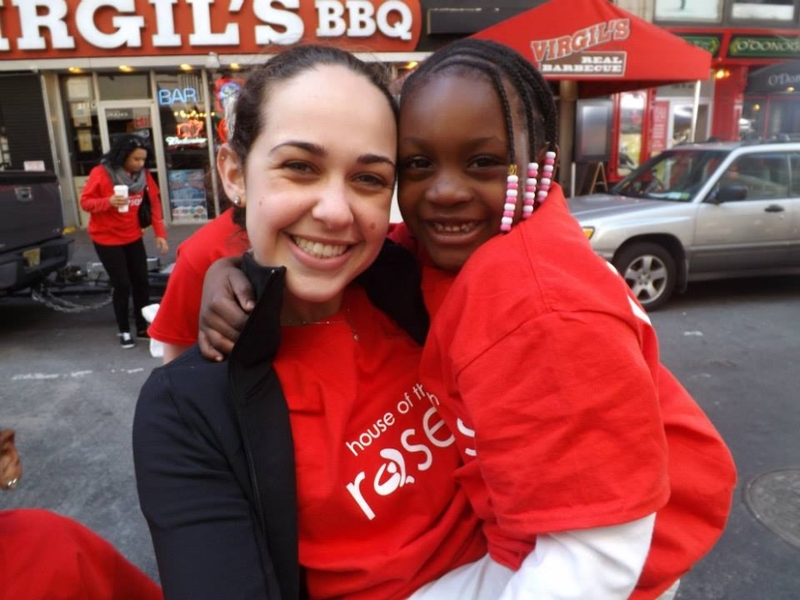 House of the Roses Volunteer Dance Company, Inc. (HOTR) brings the joy of dance, movement, and creative self-expression to at-risk children and youth in New York City homeless shelters and community centers. Through free weekly dance and movement workshops with dedicated Volunteer Teaching Artists -- and opportunities to perform their own choreography and be celebrated for their hard work and artistry at special events -- our children discover the power of dance to lift us up and the rewards of teamwork and participation in a creative community. HOTR is an all-volunteer 501(c)(3) non-profit organization. Learn more about House of the Roses. Become a volunteer Teaching Artist. Help us bring free dance education to NYC youth. What's New at House of the Roses? At House of the Roses, our Teaching Artists are always focused on movement exploration and helping our students to find creative freedom. We achieve these goals through choreography prompts, story-telling and - of course - games. Point Volunteer Victoria Shadle represented House of the Roses at the National Dance Education Organization's Annual Conference. "I would like to thank you for all the outstanding work you are doing for our children. It is through opportunities like the ones you afford them that they get exposure to different cultures and experiences to enrich their lives. My daughter is very fortunate to have met and worked with you." "Wow! Heart still pumping from dancing with my cuties for HOTR. Giving my time for underprivileged children beats any sweat-inducing gym class! We had a blast creating a dance routine with each of their unique moves. Seeing their smiles and faces light up is not only priceless but heart-warming." "HOTR volunteers’ approach and passion leave a lasting impression on our kids. They are thoughtfully incorporated into every aspect, from creating choreography to picking the next song. Each workshop is thrilling for our kids as it gives them a chance for their thoughts to be heard; that validation builds self-esteem. HOTR understands that children at Win are at a disadvantage and works to bridge that gap while creating an environment for them to flourish."